These are some intreresting but comical results of the martial arts and our legal system. It usually takes a hundred years to make a law, and then,after the law has done its work, it usually takes another hundred years to get rid of it. These laws are still on the books, so beware. Peshtigo, Wisconsin citizens are not allowed to practice karate on any city sidewalk. Yateswille, New York it is illegal for anyone to ride an ugly horse when going to a martial arts competition. Republic, Michigan no women over 200 pounds and attired in shorts may practice self-defense techniques while men are present. Jefferson, Ohio women may not take karate lessons while in a bathing suit within this community unless she be escorted by at least two police officers or unless she be armed with a club. amendment to the law The provisions of this statute above shall not apply to females weighing less than 90 pounds nor exceeding 200 pounds nor shell it apply to female horses. Cotton, Minnesota Pants with hip pockets may not be worn when working out in any of the martial arts ( a hip pocket is considered to be the perfect place to hide a pint of liquor ). Fashion, Indians women while practicing the martial arts or merely taking lessons may not wear heels measuring longer than one-and-a-half inches. Corry, Pennsylvania No female wearing a nightgown is allowed to practice martial arts. a women of any age must always get fully dressed before she can legally work out. Libertyville, Illinois No married woman is allowed to go to a martial arts exhibition on the Sabbath unless she is properly looked after. ( how ) Her mate must follow 20 paces behind and is required to carry a bow over his left shoulder and a suit-able quantity of arrows. Austin, Oregon Men may not teach karate or any other martial art while on a boat on the Sabbath. Wedgworth, Alabama No single, widowed or divorced woman may participate in any of the martial arts on Sunday Also any unattached female who takes part in such outlandish activities can be arrested and given a jail term. Wheeler, Mississippi Citizens are allowed to practice martial arts but may not strike a friend in jest--unless you first tell him you are just kidding around. Pattonsburg, Missouri Citizens may not make silly and/or insulting faces at a men while he is practicing martial arts. Halstead, Kansas Men may not take karate lessons without first having written permission from his spouse unless he's been married for more than 12 months. Hayden, Colorado No one is allowed to duel in the town square using martial arts techniques in lieu of standard, acceptable weapons. Bernice, Oklahoma Martial arts students are not allowed to chase skunks who are found to be freely roaming the community. Hickory, Maryland Citizens are not allowed to tickle a female martial arts buff under her chin with a feather in order to get her attention. To do so can bring a fine of $2.50 and one day in the local jail. Acme, Louisiana Citizens ( children or adult ), may not laugh out loud at a martial arts student going through their moves. Shellman, Georgia Martial artist may not stand within five feet of a bar when taking a drink in any public establishment serving alcoholic beverages even if he wants only a glass of water. Ledyard, Connecticut No one may practice martial arts while intoxicated such individual must be given a large dose of castor oil Refusal to take the castor oil will result in a fine. Foxboro, Massachusetts No martial artist can be seen going through his moves while his shoelaces are untied. Suffolk, Virginia Karate enthusiasts may not read the Sunday paper while training on their front porch while waiting for church to let out. Marion, South Carolina Citizens are prohibited from whistling while practicing any of the martial arts on the Sabbath. Boone, North Carolina Martial artists may not practice on Sunday during the half-hour period before a church service. Tamarack, Idaho Canned goods of any kind may be opening by chopping them with the bare hand. Waverly, Kentucky Martial art lessons may not be conducted in any bakery facility within the city limits. 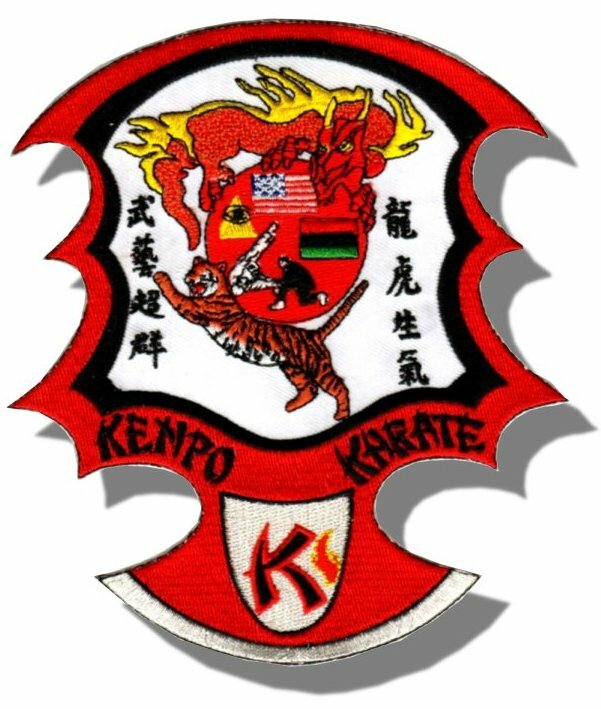 Clarendon, Texas Martial artists may not snooze in a barbershop or catnap in a restaurant within city boundaries. Sutherland, Iowa Playfully using a martial arts strike in a effort to remove a hat from the head of another is strictly prohibited. Rudd, Arkansas A martial arts instructor must never be seen carrying an open umbrella. Greenville, Delaware No martial artists may place his arm around a woman without a good and lawful reason. Bluff, Utah Martial arts practitioners are banned from chewing tobacco while practicing. Chumuckia, Florida Martial arts practitioners can chew tobacco, but they are not allowed to dip snuff while working out or while putting on an exhibition. Casper, Wyoming Goatees are considered illegal on any martial arts expert unless a special permit is first purchased. Keene, New Hampshire Martial artists may not try catching fireflies while practicing karate under streetlights after dark.